Vasily Petrenko was born in 1976 and started his music education at the St Petersburg Capella Boys Music School – the oldest music school in Russia. He then studied at the St Petersburg Conservatoire and has also participated in masterclasses with such major figures as Ilya Musin, Mariss Jansons, and Yuri Temirkanov. Following considerable success in a number of international conducting competitions including the Fourth Prokofiev Conducting Competition in St Petersburg (2003), First Prize in the Shostakovich Choral Conducting Competition in St Petersburg (1997) and First Prize in the Sixth Cadaques International Conducting Competition in Spain, he was appointed Chief Conductor of the St Petersburg State Academic Symphony Orchestra from 2004 to 2007. Petrenko is Chief Conductor of the Oslo Philharmonic Orchestra (appointed in 2013/14), Chief Conductor of the Royal Liverpool Philharmonic Orchestra (a position he adopted in 2009 as a continuation of his period as Principal Conductor which commenced in 2006), Chief Conductor of the European Union Youth Orchestra (since 2015) and Principal Guest Conductor of the State Academic Symphony Orchestra of Russia (since 2016). Petrenko has also served as Principal Conductor of the National Youth Orchestra of Great Britain from 2009-2013, and Principal Guest Conductor of the Mikhailovsky Theatre (formerly the Mussorgsky Memorial Theatre of the St Petersburg State Opera and Ballet) where he began his career as Resident Conductor from 1994 to 1997. Petrenko has worked with many of the world’s most prestigious orchestras including the London Symphony Orchestra, London Philharmonic Orchestra, Philharmonia, Russian National Orchestra, Orchestre National de France, Czech Philharmonic, Finnish Radio Symphony, NHK Symphony Tokyo and Sydney Symphony. He has appeared at the Edinburgh Festival with the Oslo Philharmonic, and the Grafenegg Festival with the European Union Youth Orchestra and the State Academic Symphony of Russia, and made frequent appearances at the BBC Proms. Recent years have seen a series of highly successful North American debuts, including the Philadelphia Orchestra, Los Angeles Philharmonic, and the San Francisco, Boston, Chicago, Montreal and St Louis Symphony Orchestras, and appearances at the Aspen and Ravinia summer festivals. Highlights of the 2016/17 season and beyond include Petrenko’s tours with the European Union Youth Orchestra as Chief Conductor, dates in Europe and Asia with the Oslo Philharmonic Orchestra, and complete cycles of the Beethoven Symphonies in both Liverpool and Oslo. He makes return visits to the Orchestre de la Suisse Romande, Netherlands Radio Philharmonic, Orchestre Philharmonique de Radio France, Danish National Symphony Orchestra, Accademia Nazionale di Santa Cecilia, and WDR Sinfonieorchester Cologne in Europe and, further afield, to San Francisco, Houston, Baltimore and Montreal Symphony Orchestras, Minnesota Orchestra and the Los Angeles and Israel Philharmonic Orchestras. Petrenko will make his debut with the Pittsburgh Symphony orchestra, and with the Cleveland Orchestra at the Blossom Festival. Equally at home in the opera house, and with over thirty operas in his repertoire, Petrenko made his debuts in 2010 at Glyndebourne Festival Opera (Macbeth) and the Opera de Paris (Eugene Onegin), and in recent seasons has also conducted Pique Dame at Hamburg State Opera, Boris Godunov at the National Reisopera, Eugene Onegin, La Bohème and Carmen at the Mikhailovsky Theatre and Carmen at the Zurich Opera, Tosca and Parsifal with the Royal Liverpool Philharmonic, and Der fliegende Holländer with the Oslo Philharmonic and at the Mikhailovsky Theatre. 2016 saw a highly successful debut at the Bayerische Staatsoper with Boris Godunov, and future plans include performances of Lady Macbeth of Mtsensk with Zurich Opera. Petrenko has established a strongly defined profile as a recording artist. His Shostakovich symphony cycle for Naxos Records with the Royal Liverpool Philharmonic Orchestra (collated as a boxset in the autumn of 2015) has garnered worldwide acclaim, and his has been documented in award-winning surveys of Rachmaninov’s symphonies, orchestral works and complete piano concertos with Simon Trpceski, Tchaikovsky’s piano concertos and Manfred (winner of the 2009 Gramophone Award for Best Orchestral Recording), works by Offenbach, Higdon and Tavener, Elgar’s Symphony No. 1 and Cockaigne Overture for Onyx Records. 2016 sees the release of the complete Tchaikovsky symphonies on Onyx. With the Oslo Philharmonic Orchestra he has released the Shostakovich cello concertos with Truls Mork (Ondine), the Szymanowski violin concertos with Baiba Skride (Orfeo), and the first instalment in a cycle of Scriabin’s symphonies, and in autumn 2016 Lawo Classics will release Prokofiev’s complete Romeo and Juliet ballet. 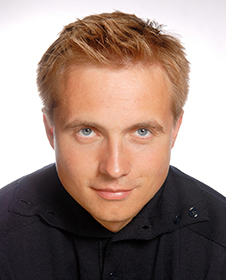 In October 2007 Vasily Petrenko was named Young Artist of the Year at the annual Gramophone Awards, and in 2010 he won the Male Artist of the Year at the Classical Brit Awards. He is only the second person to have been awarded Honorary Doctorates by both the University of Liverpool and Liverpool Hope University (in 2009), and an Honorary Fellowship of the Liverpool John Moores University (in 2012), awards which recognise the immense impact he has had on the Royal Liverpool Philharmonic and the city’s cultural scene.